Member of Ashford Tri Club since January 2014. Joined ATC initially to get fit, after 25yrs of smoking and had not really done much in the way of sport since about 30 yrs of age. 6 months in bought my first bike and completed a 10 mile TT. 2 months later bought my 2nd bike, much to the disapproval of my wife. In October 2014, I ran my first 10k road race and turned my attention to swimming, as it turned out I was not as good at swimming as I thought and found myself learning to swim again. 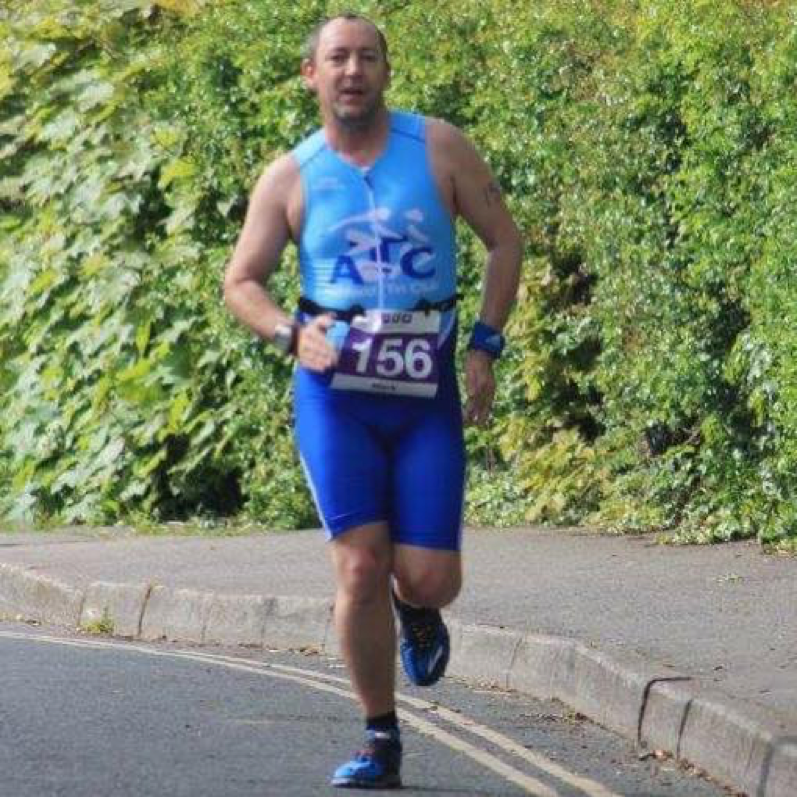 By this point I was hooked and entered my first sprint triathlon at East Grinstead, 10th May 2015. I went on to complete a further 4 triathlons in my first season of competition and the support of the coaches and members of Ashford tri club was invaluable. I would probably say that although I’ve not got the body of my 20yr old self I am certainly a lot fitter than I was then. When I learned that I had won a club award (Club Trier), I was absolutely gobsmacked and it has spurred me on to try longer distance races this year, that started with the canterbury 10 miler and hoping to finish with a half Ironman distance at Hever Castle. I joined the Royal Navy at seventeen and trained as an Aircraft weapons and electrical systems engineer working primarily on the Harrier jump Jet and getting paid to party all over the world. I have disarmed a misfired sidewinder missile. In my misspent youth I organised and dj’d a couple of underground raves. If you would like your profile up on the site, please let us know.